It’s getting busy around here, with the holidays just around the corner…well, sort of…if you consider 106 days to be “around the corner”. October sessions are booking quickly and I still have a day of mini-sessions to squeeze in there somewhere. Here’s a little bit of insider information for you – It looks like the date for the mini-sessions is going to be October 18. If you think you my be interested, email me and I’ll put you on the list to receive the email when all of the information is announced. So, before things get too crazy around here, the family and I have been making use of our Disneyland annual passes. Check out the look of concentration on my face in this shot. 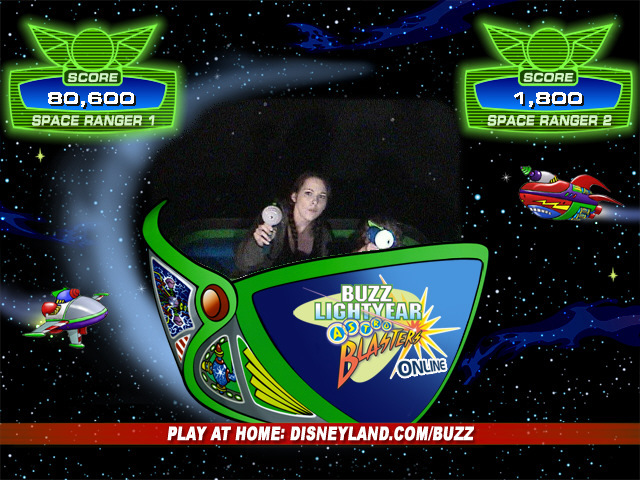 Why no, I am not competitive at all, why do you ask? 🙂 Somewhere behind that other gun is my daughter. We also been using my camera for something other than work. Hey, even a camera deserves a break, every now and then, right? 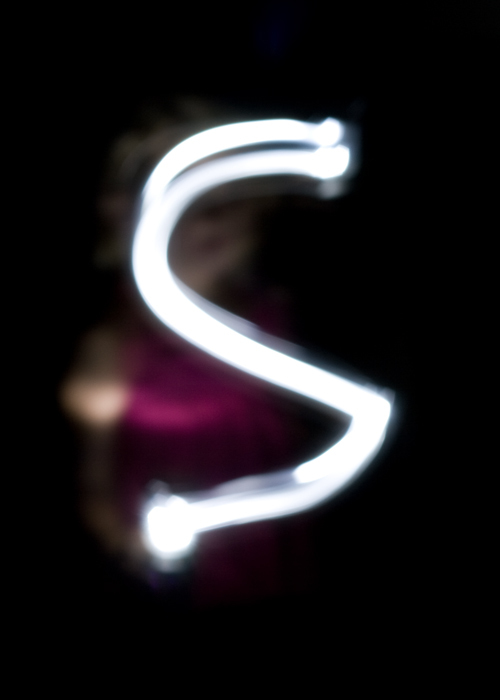 Ever used your camera to paint with light? Getting fancy with a double heart…..
Here’s my attempt. 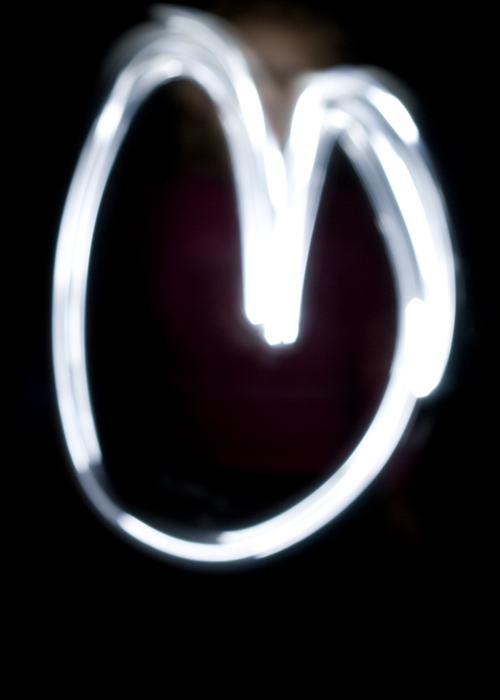 An “m” for Melodee…..
And my daughter’s “s” …..for Sophie….. It was fun, and easy. If you do attempt it, a tri-pod is ideal, but a table or other flat surface will do. Don’t know how well hand-holding your camera would work for you. 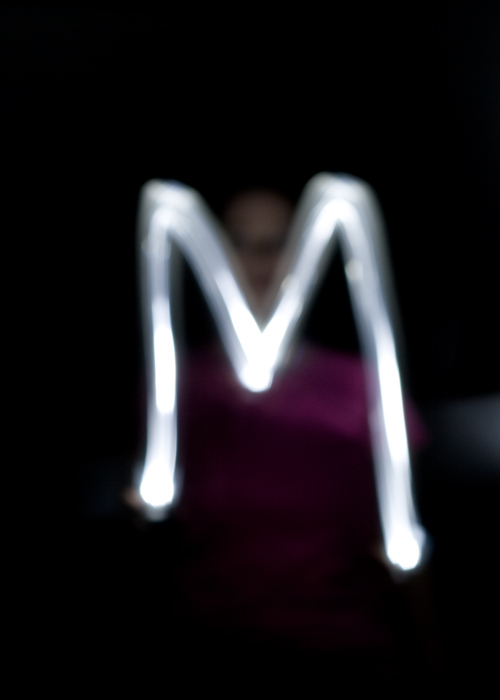 We used my daughter’s little LED flashlight/lantern thing…and my husband did some with a mag light. 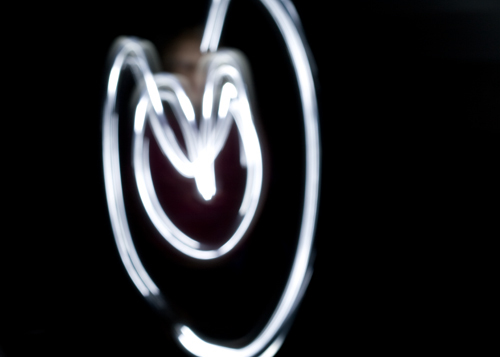 Just find yourself a dark room, set your camera for a long exposure and try it out. Okay, now play time is over for me…..back to work. And since I am working…..If you were thinking about doing a session for the holidays, it’s time to schedule. Dates are filling up!